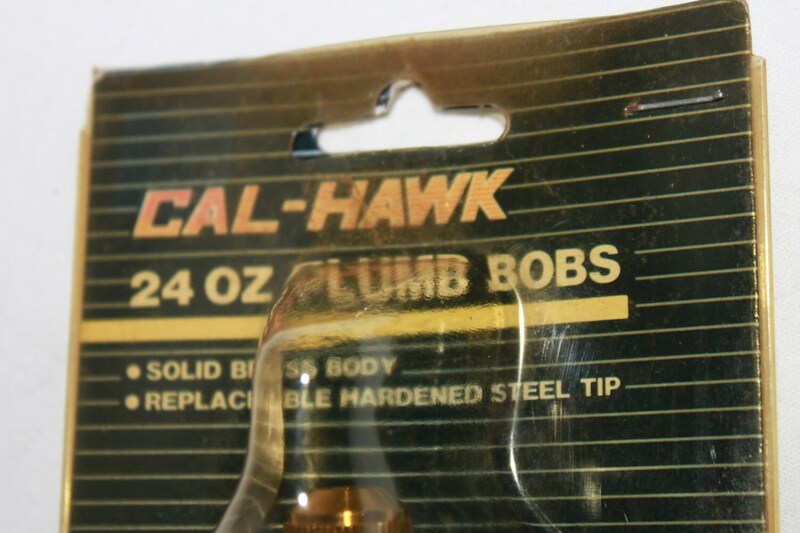 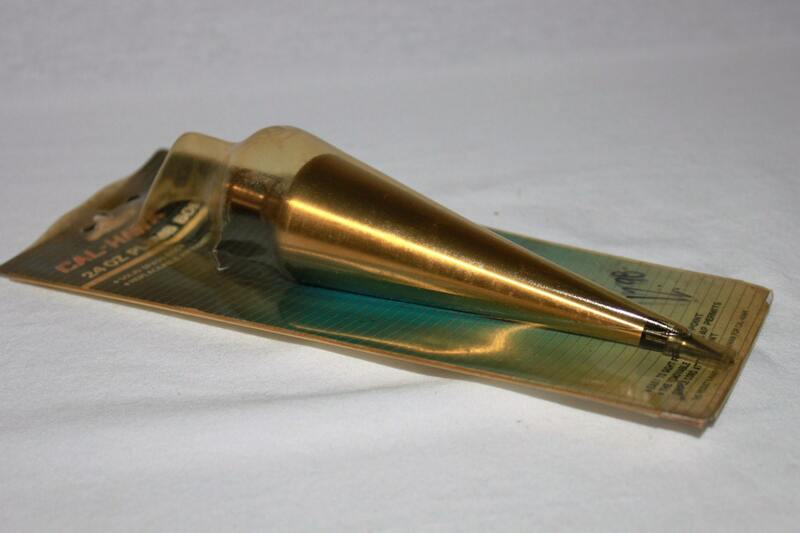 We have for sale an Vintage 1970s Cal-Hank Solid Brass Plumb Bob IOB / NOS. 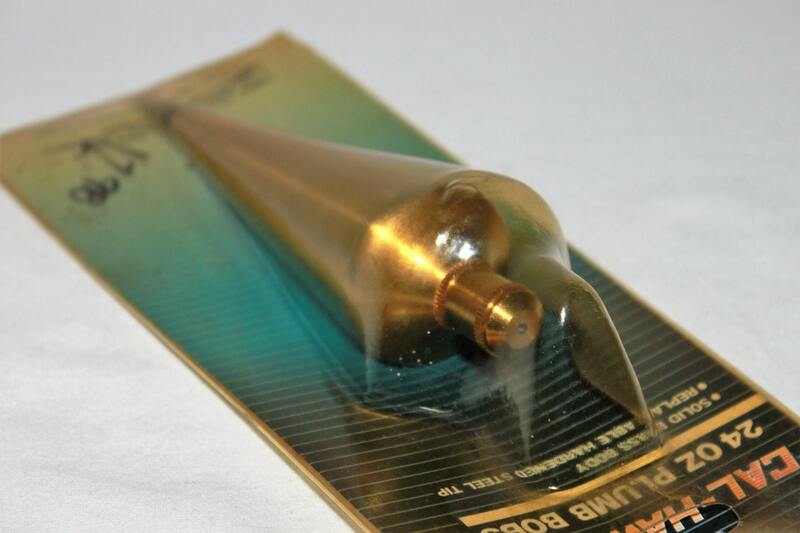 This is a wonderful solid brass plumb bob, we found this in an old hardware store still hanging on the hook for sale, New Old Stock. 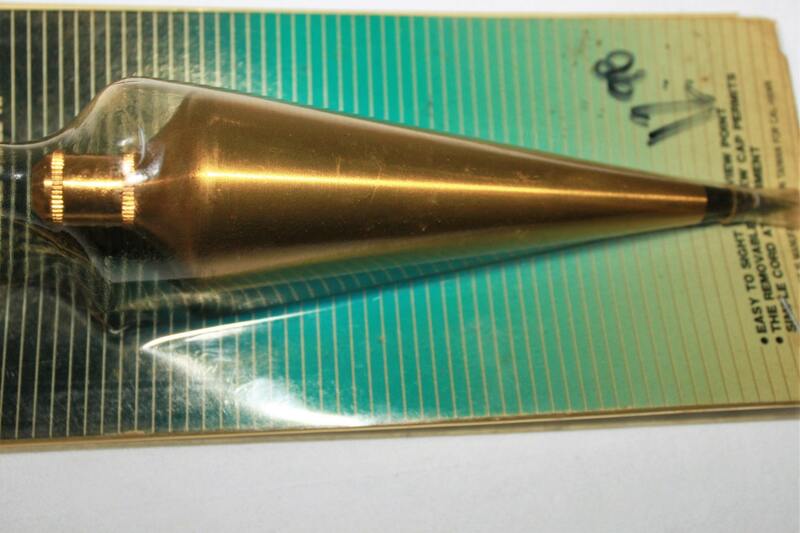 Condition is good, never out of the package, package is discolored and has the original price written on the front.